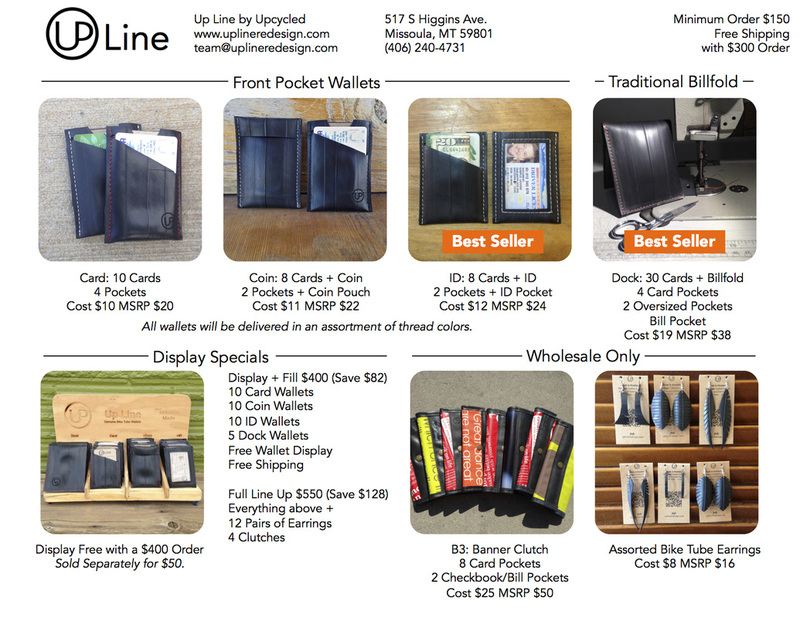 Interested in carrying Up Line in your store or just want to learn more? You can contact us using the contact form in the footer of this page. Please including some basic information including your store name and location and your buyers name and direct contact information. We will respond to all inquiries. Payment Options: We accept all major credit cards. International and first time orders must be prepaid. Upon approval from our credit department, net 30 terms will be applied along with the option to pay via check. A minimum order of $150 is required. Turn Around: Orders are shipped in the order received. Any order should be sent out within 10 business days of receipt. If we are temporarily out of stock of an item, we will let you know by email within 5 business days of receipt of order. Shipping: We ship using USPS Priority mail. Free shipping is provided for orders over $300. All packages are insured. While Up Line is not responsible or liable for damages incurred during transport, we are happy to provide any information needed for you to make a claim.